Having one place to keep all your notes, ideas, plans and calendar is a great way to stay focused and organized. The #2CM Planner is your solution! 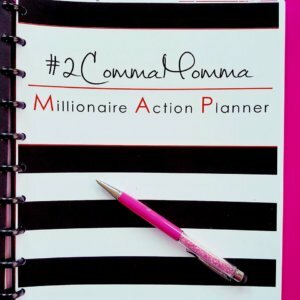 Within this planner, you have your long and short term goals including some self-reflection for your business and personal life. Your calendar keeps you focused and on task. You also have sections which can include your client notes, brainstorming ideas, and business development goals. Having everything you need in one place is a big advantage to ensuring that you never loose anything, and that you have easy reference to what’s coming up next. If you’re ready to get organized and stay focused, email me! cindy@cindycavoto.com.